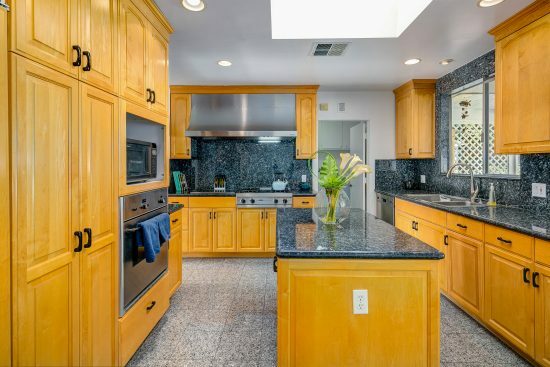 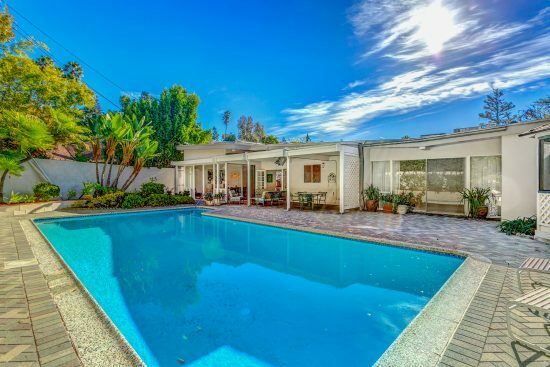 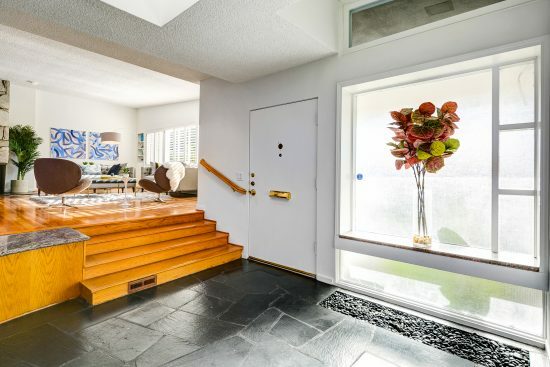 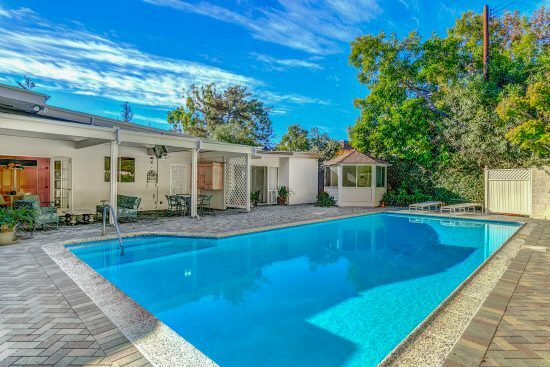 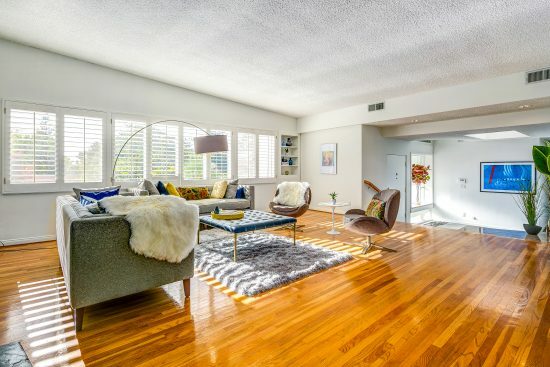 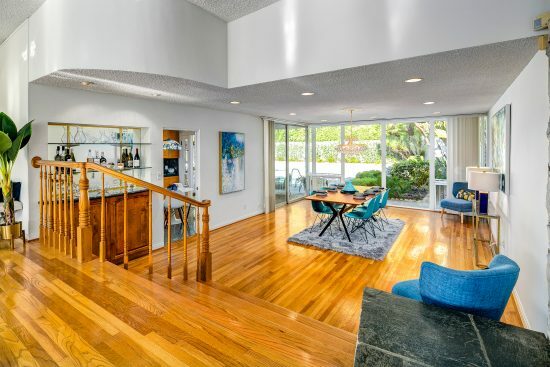 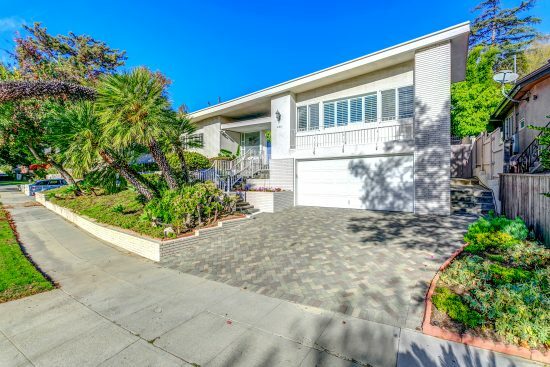 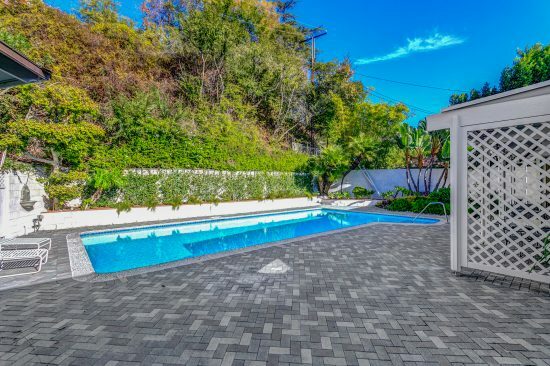 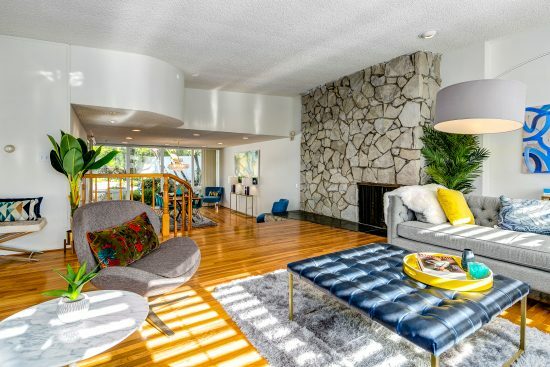 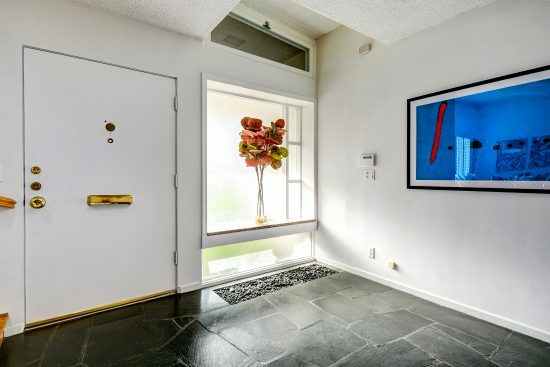 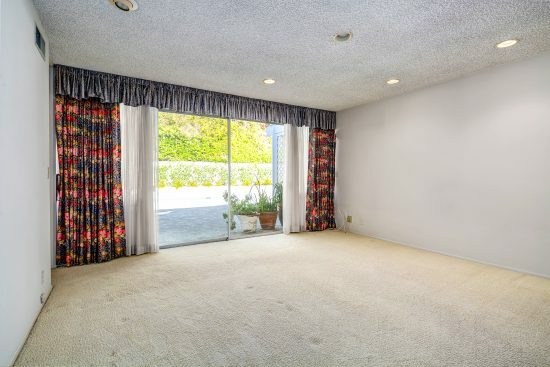 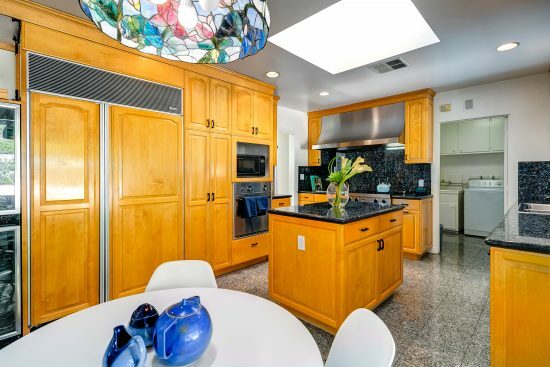 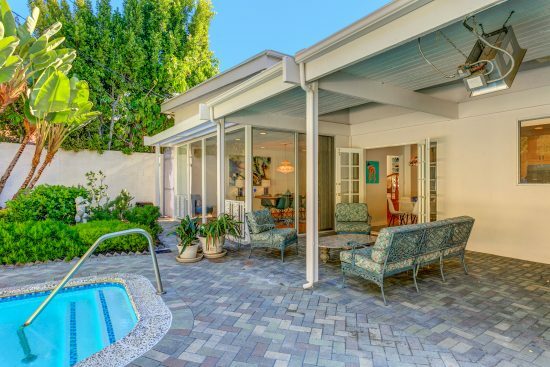 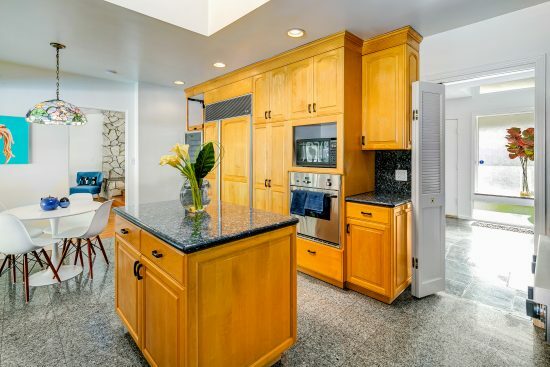 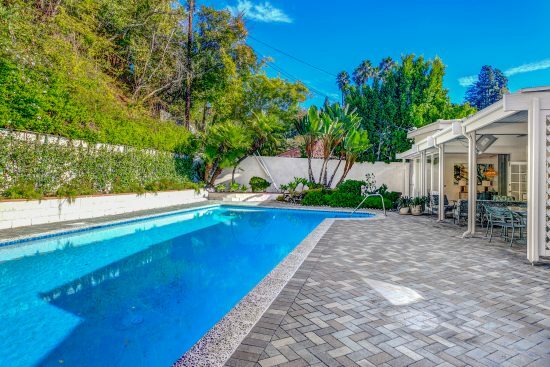 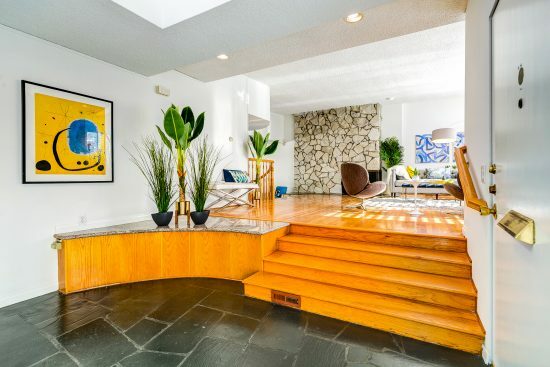 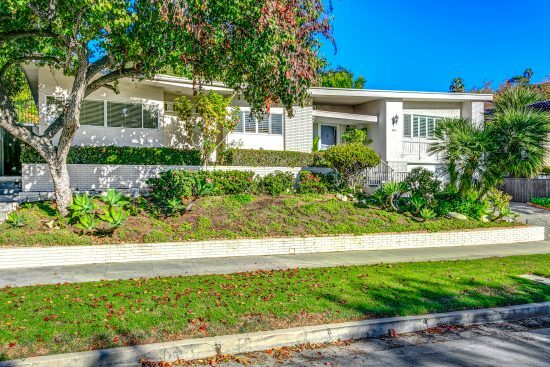 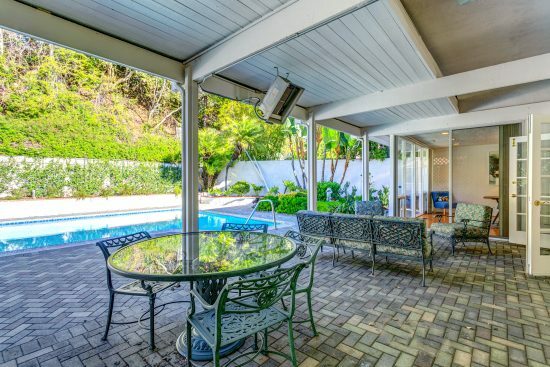 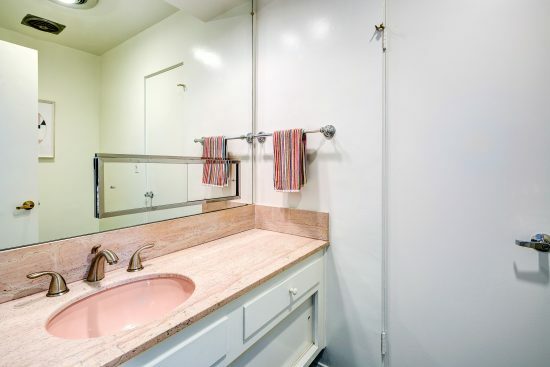 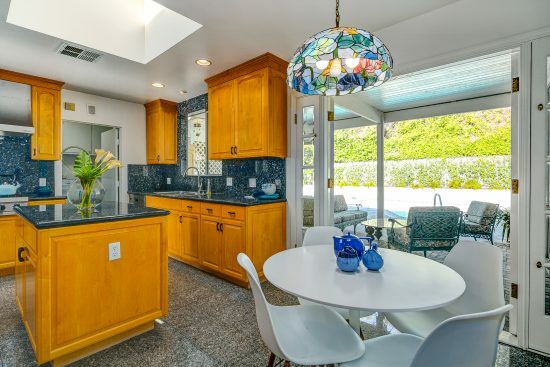 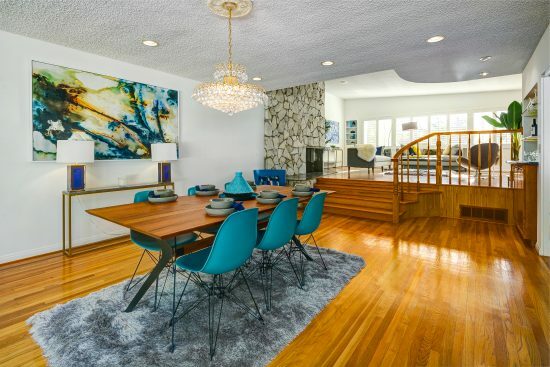 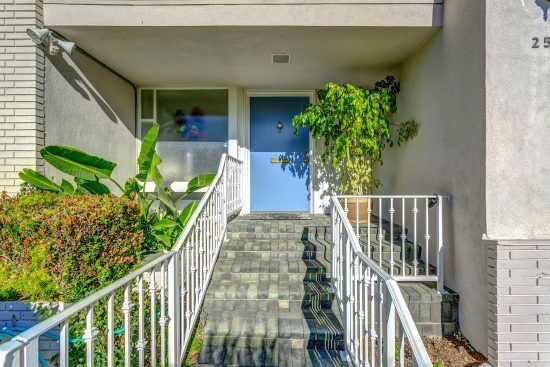 This mid-century home with a sparkling pool resides on one of the finest streets North of Los Feliz Blvd. 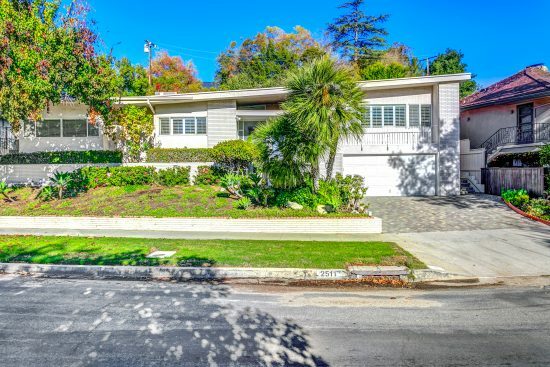 This home has been impeccably maintained - and it offers 3 bedrooms, 3 baths, on a large 9,528 ft lot. 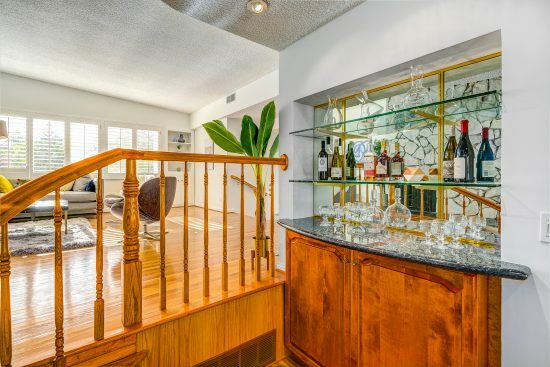 The grand foyer leads you to the open floor plan living room, dining room, and wine bar, all with high ceilings. 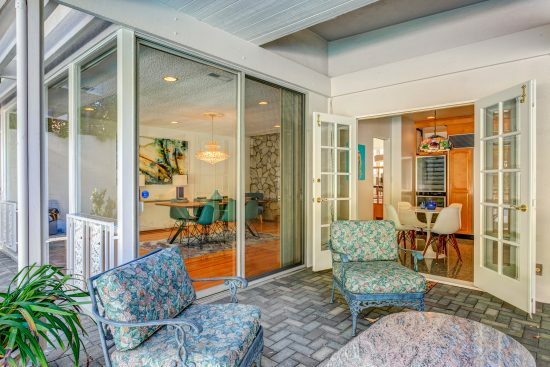 The sliding glass door to the backyard overlooks the sparkling pool with mature trees. 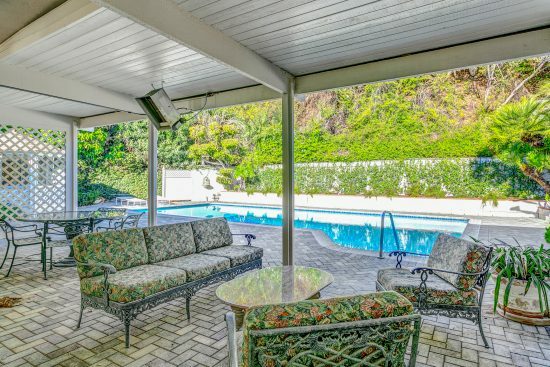 This secluded backyard with a large patio area is perfect for entertaining. 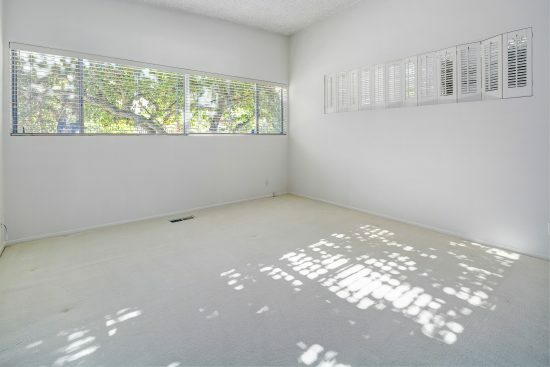 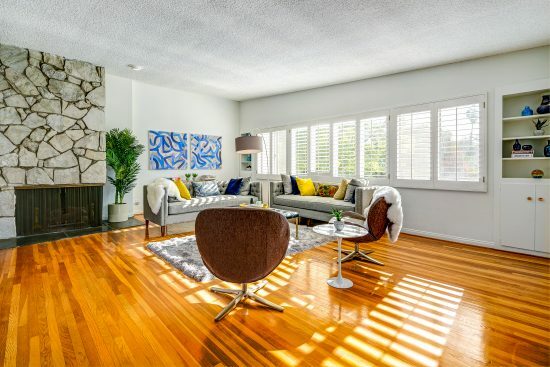 This home offers an abundance of natural sunlight and the custom shutters enhance this. 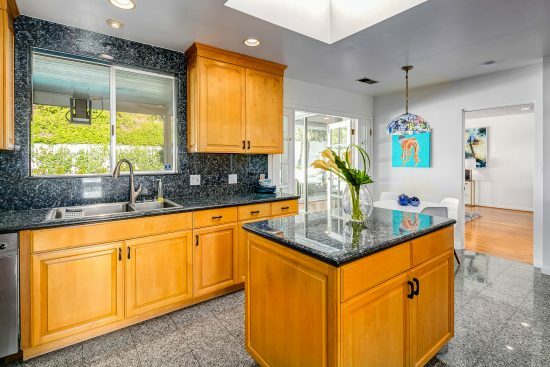 The remodeled kitchen with many built in appliances has a breakfast nook and double French doors that lead to the outdoor patio. 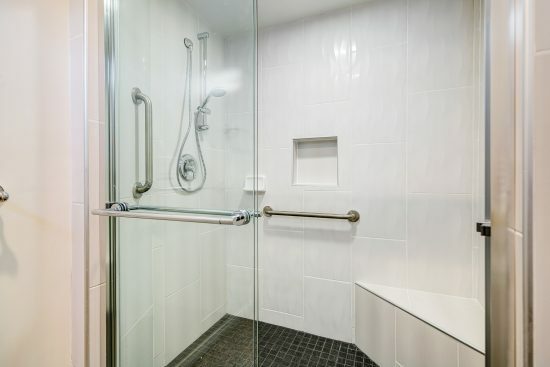 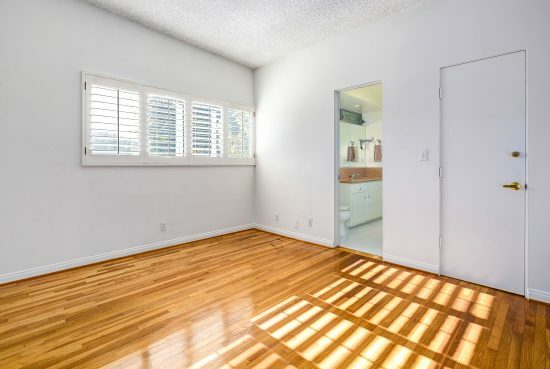 A dedicated laundry room and half bath is conveniently located adjacent to the kitchen, perfect for guests. 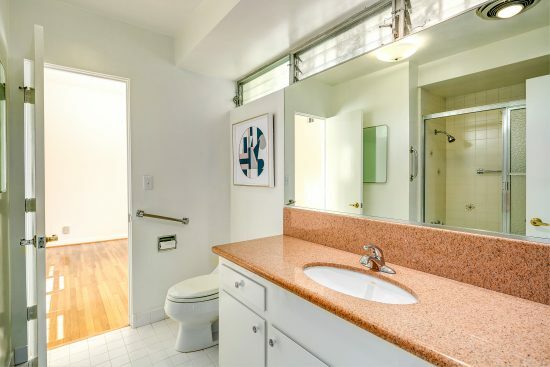 All three bedrooms and two baths are located opposite of the common area, which offers excellent privacy. 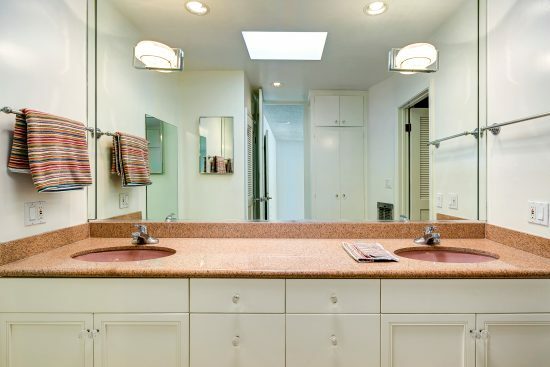 The master suite occupies a walk-in closet with additional storage drawers and cabinets in the hallways. 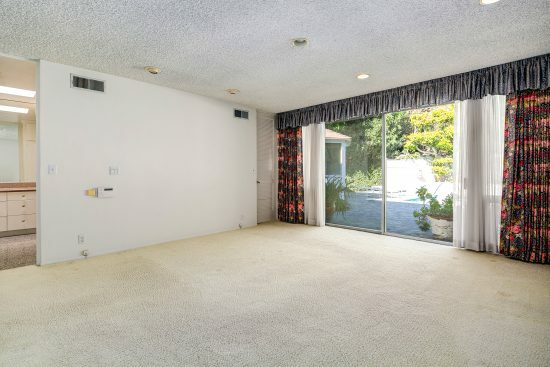 The two car garage also provides plenty of storage. 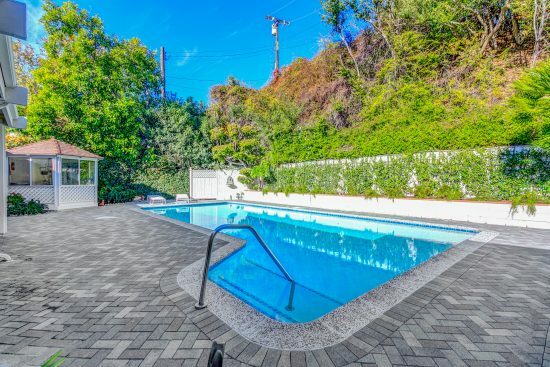 The Greek theater, Griffith park, golf course, restaurants, and shops are just short distance away! 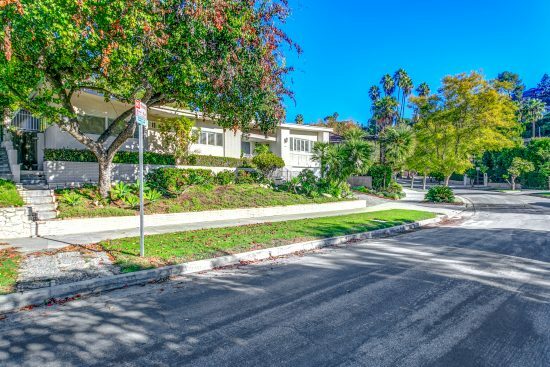 2511 Aberdeen Avenue is a residential lease property located in Los Angeles, CA. 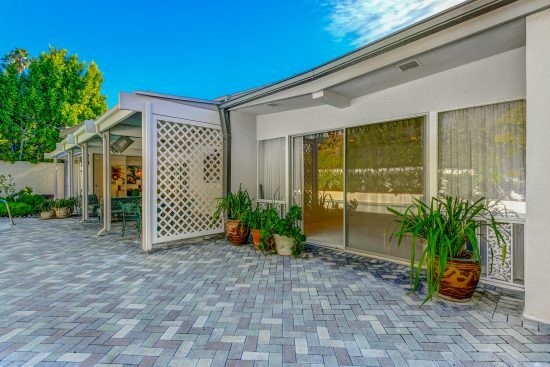 This property sits on a 9540 sqft lot, is 2475 sqft, with 3 bedrooms, 3 baths.